I don't find supermarkets exciting anymore after the live-action thrills of the wet market - the gruesome sight of live fish being chopped up, baby bok choy so fresh it was born just a few hours ago, and the elbowing, jostling and general physical discomfort of shopping with hundreds of revolution-hardened Shanghai pensioners. But Shanghai now has something genuinely different to offer in the supermarket line. 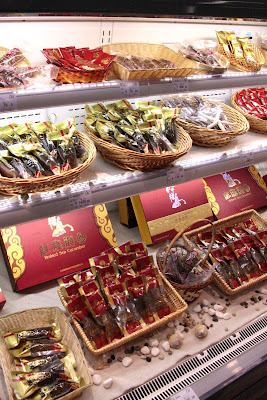 None can compete of course with the enormousness of Carrefour, or the bargain prices at Jia Deli, but Chinese retail giant Ole has just opened in the basement of Grand Gateway shopping centre in Xujiahui, and it's pretty interesting. Appreciate these pictures too, because I nearly got evicted for taking them. Every time I pulled out my camera the staff looked fretful and managers menacingly appeared from behind the dairy cabinet. When I asked why, they just looked mysteriously at me and frowned. So what are the cutting-edge developments they're worried the competition is going to photograph and steal? 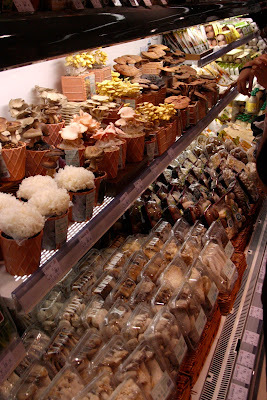 For starters, they have a fully fledged mushroom bar....no hallucinogenic kinds, but they do have shiitake, oyster, enoki, white cloud ear, black cloud ear, swiss browns and a whole bunch of pink and yellow ones I've never seen before. 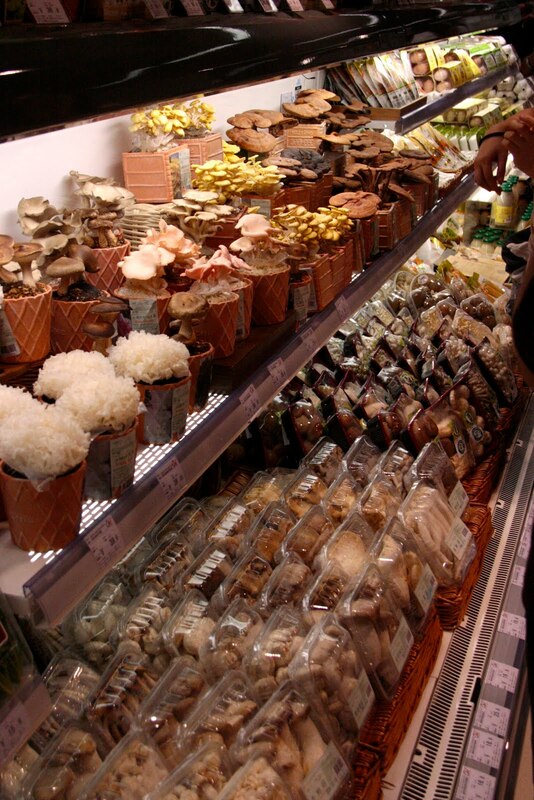 The range is astounding, they're all certified organic, and they sell them in pots too. Just like those potted herbs we all buy to make us feel virtuous that we're actually growing something, now you can buy a potted mushroom to put under your bed. Genius. The next aisle holds packets of who knows what? They look like individual turds vacuum-packed in sewer water, and decorated with seashells and starfish, but on closer inspection I realise they're sea cucumbers. So about the same level of appetising-ness. 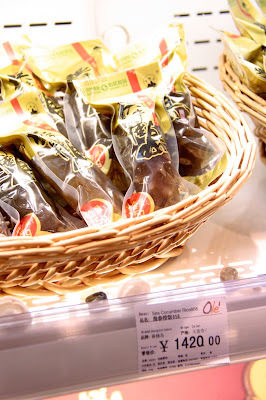 Unbelievably, the turds, sorry, sea cucumbers, are eye-wateringly expensive. These little beauties are $240 each. 'Japanese' the sales assistant tells me. Well, that explains it. There are no $240 edibles at Carrefour, but you can buy a motorbike, plus a bicycle, for the same amount. 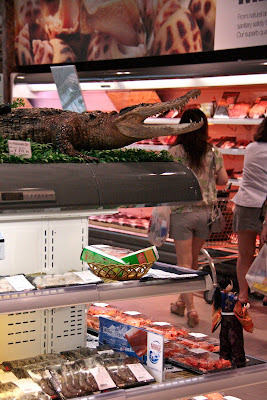 Over in the fish section they have decorated the fish head shelves with a stuffed crocodile. There is no crocodile meat for sale as far as I can see, but the Chinese like to be oblique in their decor style. Next to the crocodile is an empty bottle of Bordeaux, and a wine glass. I can't think about what it all means, until I find another empty wine bottle with a glass in the cheese cabinet. Why haven't City Shop been doing this? The empty wine bottles make the food look much more attractive. 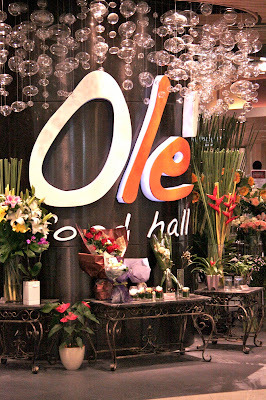 I leave with a really expensive bunch of bananas and some UHT cream. Is that someone following me? ?